This rare variation of the MP40 may only be of interest to advanced MP40 collectors. 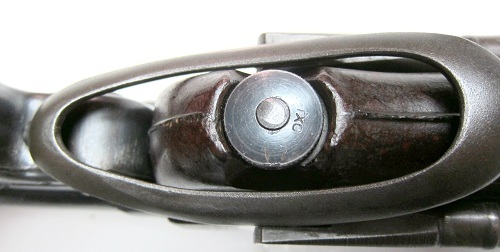 Made during the final stages of WWII, this FIFTH PRODUCTION VARIANT has an original German Armorer’s replacement barrel. See photographs. 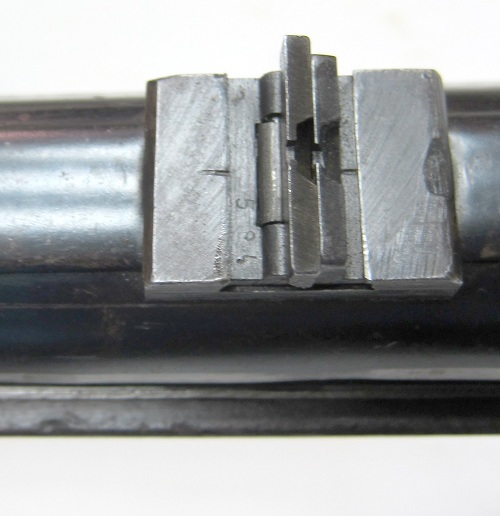 The rest of the gun has all matching serial numbers, even the firing pin! 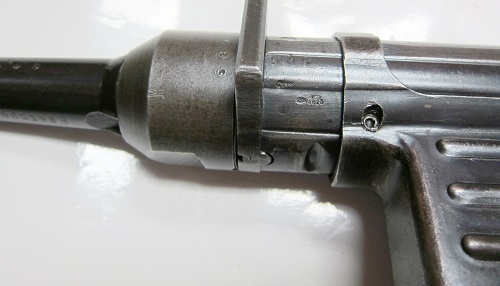 This firearm was never demilitarized, only dewatted by welding the barrel inside the receiver. 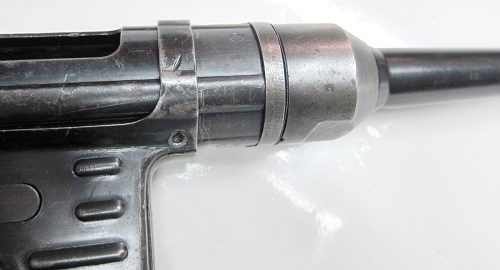 No welding was done to the exterior of the gun. 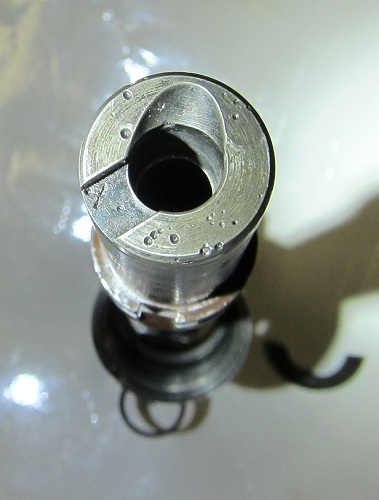 We have had this gun rewetted, it has no signs of the dewat on the exterior and it is C&R. 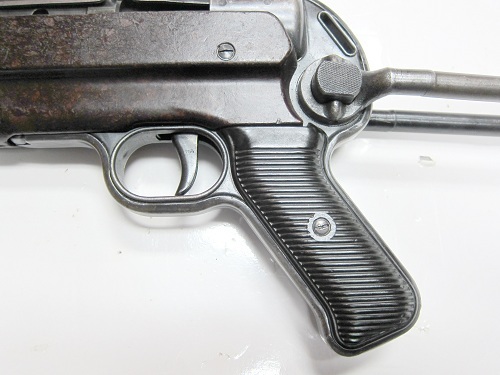 This MP40 is a tight firearm which has seen very little use and is in extremely good condition. The fifth and last variant of the MP40 differs from all others in several ways. The pistol grip/trigger guard assembly is permanently attached to the lower receiver. 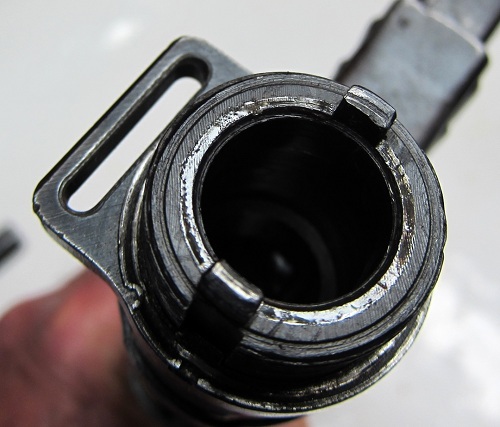 The rear sling holder and buffer housing are edged with a metal band. 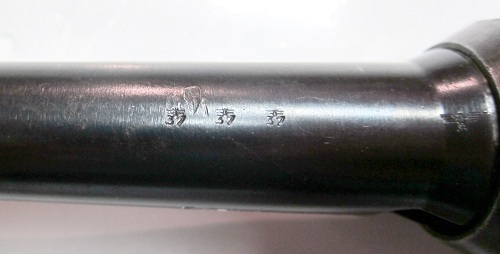 Identification is also different: the serial number is stamped on top of the lower receiver in transverse direction, contrary to all other MP40 variants. 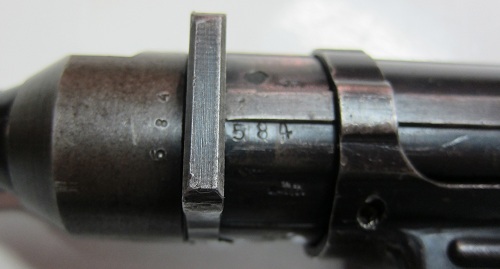 This particular example is serial #584 with manufacture code bnz 44 identifying it was manufactured by Steyr in 1944. 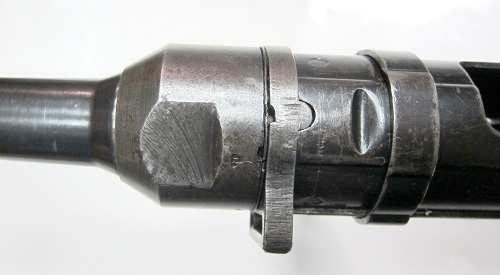 Interestingly, the fifth variant example photographed in the following reference book is bnz 43, manufactured by Steyr in 1943. The example we have for sale was actually manufactured a year later, adding to its rarity! 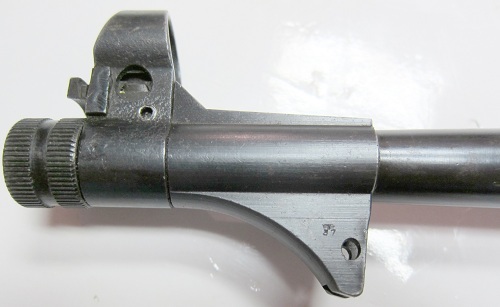 MP40s were produced by Steyr, Haenel and Erma. Haenel halted production in early 1942 and Erma discontinued production in 1943. Steyr halted the production of the MP40 some time between August and October of 1944. 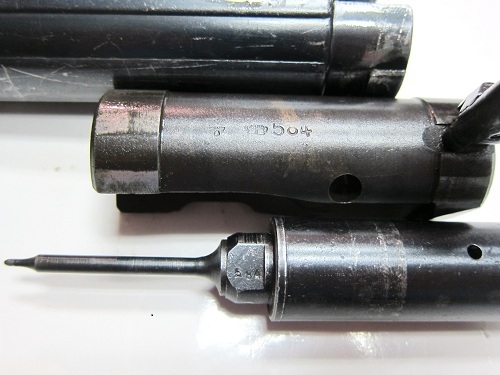 Thus there were no MP40s with the manufacturer code bnz 45. This fact places the example for sale among the last guns produced. If you are serious about collecting MP40s, it would be worth reading page 33 of the book The MP38, 40, 40/1 and 41 Submachine Gun published by Special Interest Publications BV, available from many firearms publications dealers. A beautiful example of the legendary MP40 Schmeisser, a spectacular display item and a tremendous shooter, priced accordingly at $21,500. Trades considered. Will finance interest free for one year. Call us at 877-437-0251sales@FullAutoClassics.com Our website is http://www.FullAutoClassics.com THANK YOU.